The parents of the youngest victim killed by a collapsed bridge in Miami said Tuesday they want justice for their daughter, describing her as a selfless teenager with ambitions of becoming a lawyer. 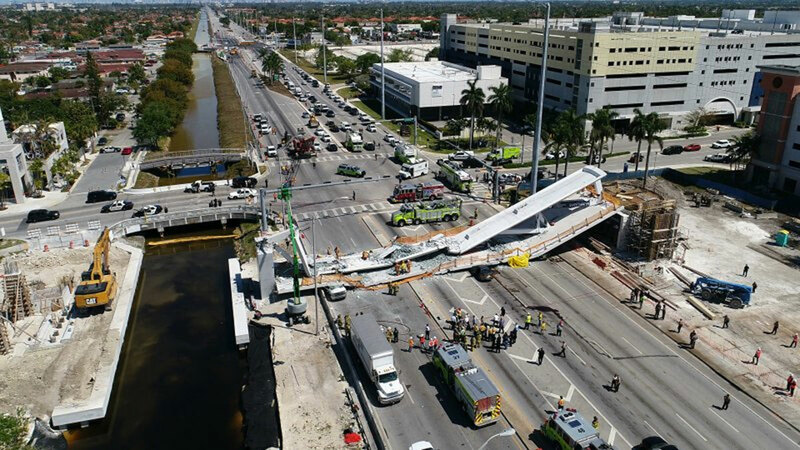 Orlando and Gina Duran said Tuesday there were too many mistakes and oversights in the construction of a Florida International University pedestrian bridge that toppled onto a busy highway March 15, killing their 18-year-old daughter Alexa and five others. Alexa Duran was driving a friend home from a doctor’s appointment when the concrete span fell atop their car. The friend survived and said Duran was not responsive after he shouted her name when he saw the bridge toppling. He ducked down and only saw his friend’s hair and blood before being helped out by people who came to the rescue. The FIU student was hailed as the good Samaritan of that day, but Duran’s parents and lawyer pointed out she was “selfless” and had “unusual character” traits for a woman her age. The younger of two sisters born to Ecuadorian immigrants, Duran liked helping loved ones resolve their problems. On Saturdays, she opened her mother’s dry-cleaning shop where she worked three days a week. It was on those days when she offered to remove the most difficult stains from the week’s orders. The day of the collapse students were on spring break, but Duran was in school because she had met with a school adviser, her mother said. Then, she promised to take her friend Richie Humble to the doctor, and later, to take food to her mother at her shop. But then Gina received a call from one of Alexa’s friends. Goldfarb said the bridge-building project had red flags, highlighting delays in the construction due to some redesign that were jeopardizing federal grants. He said bridge design modifications took place too late in the project to accommodate for a bus lane. The changes included moving one of the bridge’s main support structures 11 feet (more than 3 meters) north to the edge of a canal, widening the gap between the crossing’s end supports. “How could it be possible that engineers did not foresee that? How is it humanly possible that they didn’t think of this in advance? It’s just unconscionable,” Goldfarb said. He also said documents so far show the state was more involved in the project than Florida Gov. Rick Scott has acknowledged. Five days before the collapse, university and government officials touted the bridge as an architectural marvel that would connect the university to the nearby city of Sweetwater in the greater Miami area.